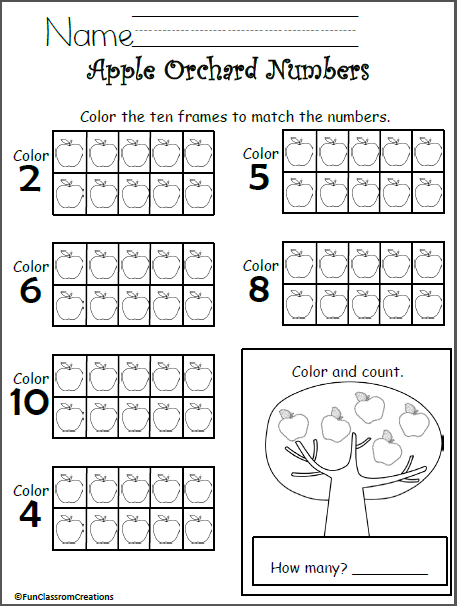 Students color and count the geometry shapes, then graph the totals. 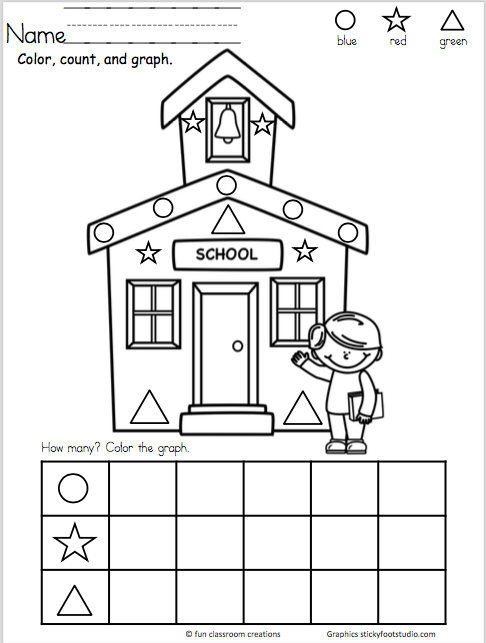 Great introduction to numbers up to 5, color words, shapes, and graphing. Good activity for ‘Back to School’ time. 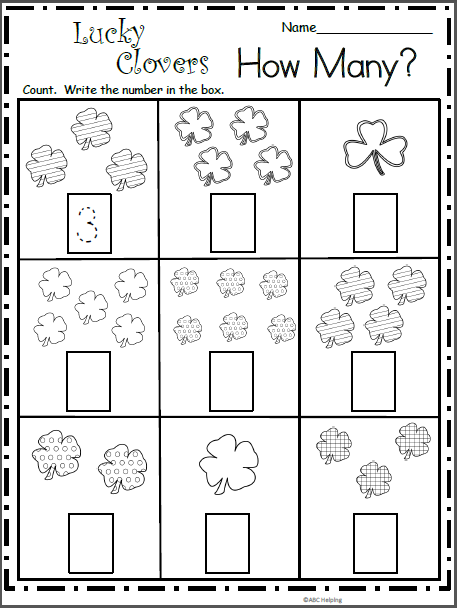 Free spring flowers number writing practice worksheet for numbers 1 to 30. 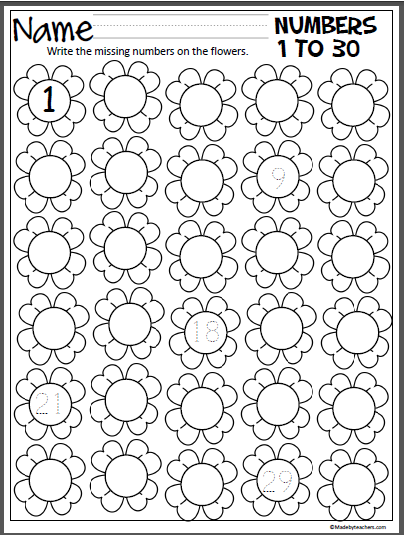 After writing the missing numbers, students can color the flowers.